The work they are doing is not focused solely on aging. 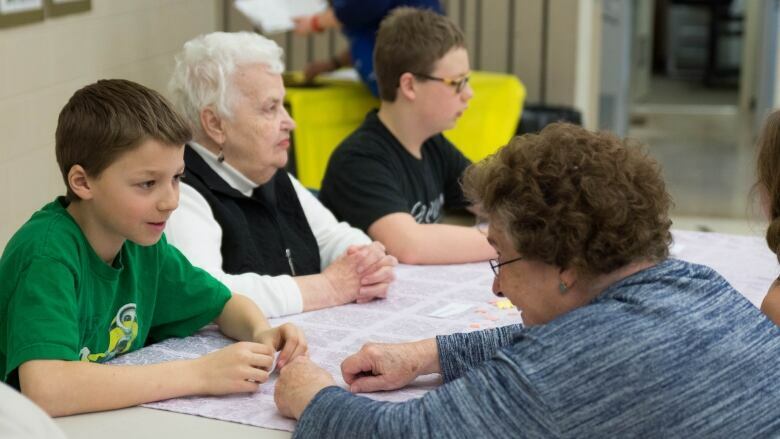 The communities also strive to close the generation gap by bringing young and old together. Populations around the world are rapidly aging. That's why in Saskatchewan, there is an effort underway to recognize communities who are working to make life better for seniors. 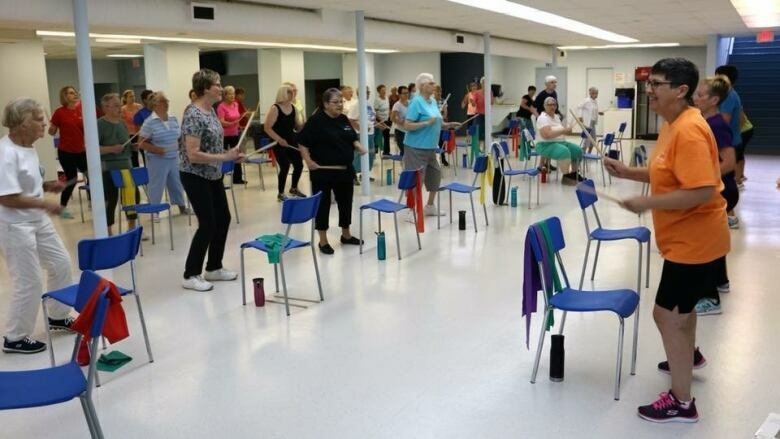 In Strasbourg and Bulyea, about 200 kilometres south-west of Saskatoon, they work to "support and enable people to age actively in place," according to Michel Sorensen of the Saskatchewan Seniors Mechanism. The work in the two communities is not focused solely on aging. It also strives to close the generation gap by bringing young and old together. This effort was launched in the village of Bulyea about a year ago. Seniors were teamed up with children in Grades 4, 5 and 6. 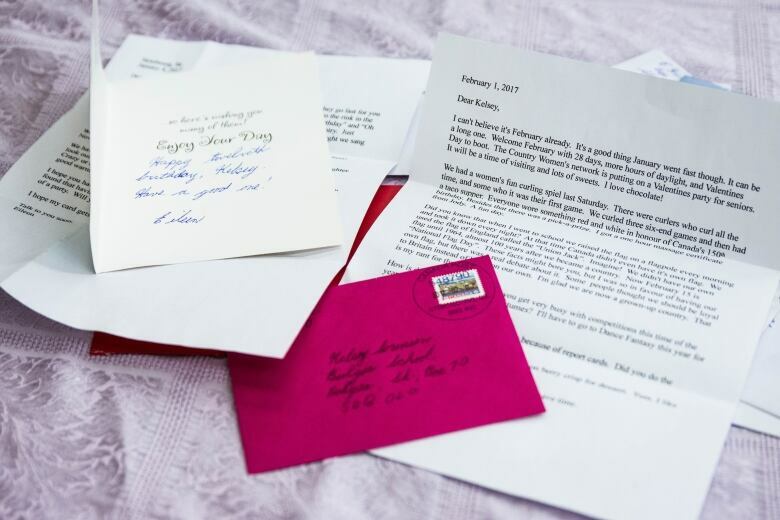 They exchanged handwritten letters for three months. "To this day some of them are still writing back and forth," said Sorensen. The project culminated in a big intergenerational potluck. Isolation is a major issue for older people, so in Strasbourg there is an invitation for people to share a meal out at a restaurant with ohers. "You go once a week, you don't know who is going to be there at that time and it really opens up conversation," said Sorensen. For three years now, people in Strasbourg have been invited to donate a gift for a senior who may not otherwise receive one at Christmas. Michel Sorensen takes up the role of Santa and delivers gifts, budgeting plenty of time to socialize. "Making that time, as well as bringing along a small gift can really make someone's day," she said. Aging gracefully involves not only means keeping a sharp mind, but also a strong body. In Strasbourg there is a fitness class called Forever in Motion that works on things like strength and balance. "This focuses on going at your own pace and being able to do what you can," said instructor Joy Strueby. "It's a lot of fun. Even for the leaders, for ourselves, we can't wait to go." The 50-plus fitness class has more than 90 registered participants. Both Sorensen and Strueby said the work happening in Strasbourg and Bulyea seems to be working and they are seeing some evidence of intergenerational friendships that last beyond efforts like the pen pal program. They suggested it is building a closer, stronger sense of community.